Lock in a great price for H10 Itaca – rated 8.5 by recent guests! It was clean though small and the hotel staff were friendly. I love that there was a supermarket right next door to the hotel. Near Sants train station, many cafes and restaurants all around, modern room and bathrooms. Great coffee, water and more! Excellent value! Located near the main Barcelona bus station and only at 15min walk to the National Art Museum of Catalonia. We absolutely loved the location ! Pretty much everything we needed was in walking distance. The staff are friendly and extremely helpful. We will definitely stay at H10 again and recommend it to our friends!! The bed was great,the staff very helpful, the room was very clean and modern. Room was brilliant. Bathroom just stunning , all stuff ,bathrobes etc. Nice minibar. Staff extremely nice& fast. Perfect rooms for reasonable value. The staff at the front desk are always very nice. At the restaurant a bit less. Loved the extra touch of a glass of Cava upon arrival and slippers and a robe in the room. The location was very good. We were also surprised how nice the hotel was and had not heard of it before. H10 Itaca This rating is a reflection of how the property compares to the industry standard when it comes to price, facilities and services available. It's based on a self-evaluation by the property. Use this rating to help choose your stay! H10 Itaca is within 10 minutes’ walk of Sants Train Station, the AVE High-Speed Railway, Plaza España and the FIRA Exhibition Center. It features a stylish 2297 ft² terrace with a plunge pool. Each bright room at this modern hotel includes free Wi-Fi, a safe, a flat-screen TV, a mini-bar and a desk. They all have a private bathroom including a hairdryer and Textures Collection amenities. 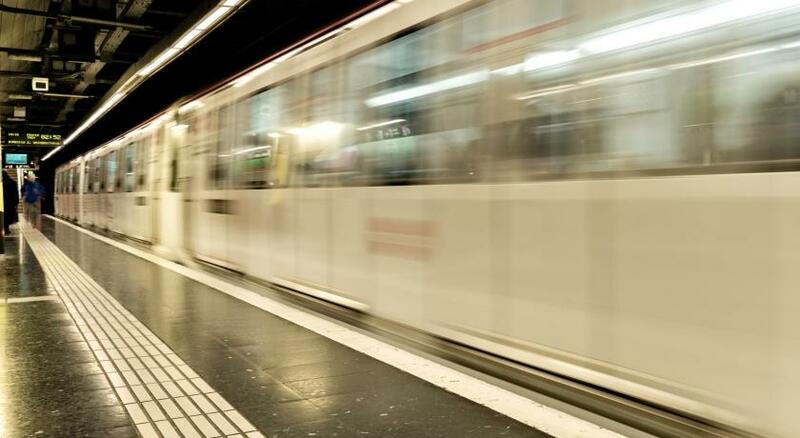 Barcelona city center, including Plaza Catalunya and Passeig de Gràcia, can be reached in 10 minutes by Metro, and FC Barcelona’s Camp Nou Stadium is just 2 stops away. 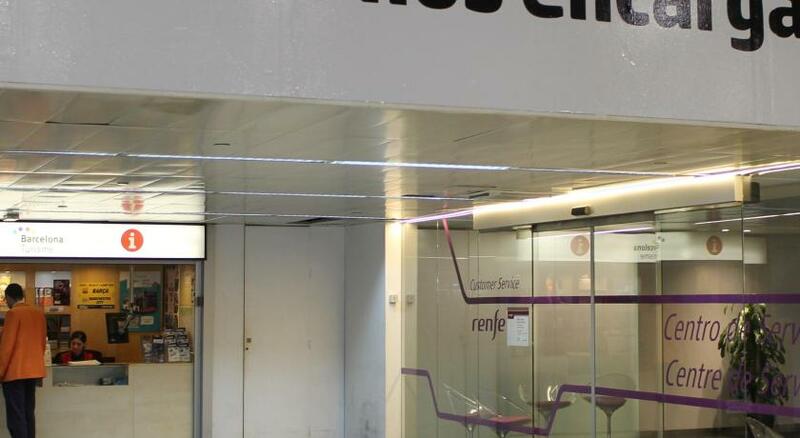 Sants Station runs local and national rail services, including the airport train and the AVE link to central Madrid. When would you like to stay at H10 Itaca? 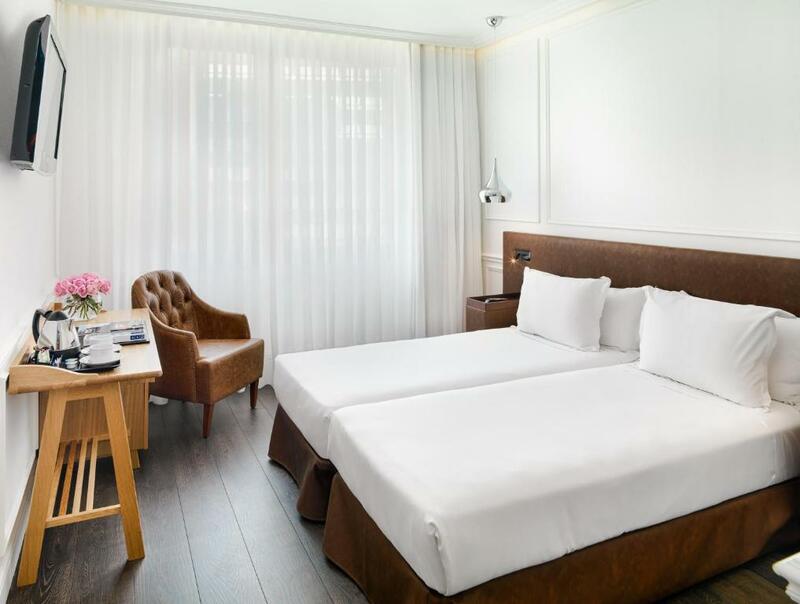 Set on the hotel's 2 upper floors, these bright, modern rooms have free Wi-Fi, and a safe suitable for a laptop and which also has a charger. There is a flat-screen TV, a desk, a mini-bar, a kettle, an iron and a media hub. The bathroom has a bath, a hairdryer and Textures Collection amenities. Refurbished in 2018, these bright, modern rooms have free Wi-Fi, and a safe suitable for a laptop and which also has a charger. There is a flat-screen TV, a desk, mini-bar, a Nespresso Coffee Machine and an iron. This suite comes with a lounge area with a Nespresso Cofee Machine. This smaller room comes with a flat-screen TV and a private bathroom with a hairdryer and Textures Collection amenities. Discover our fantastic plunge pool in our terrace where you can relax in the middle of the big city. House Rules H10 Itaca takes special requests – add in the next step! H10 Itaca accepts these cards and reserves the right to temporarily hold an amount prior to arrival. For nonrefundable rates, please note that guests must present the credit card used to make the reservation on arrival. Please note that the credit card holder must be present upon arrival. Room a Little bit small. Frigde too close from bed. There was light coming inside the room. 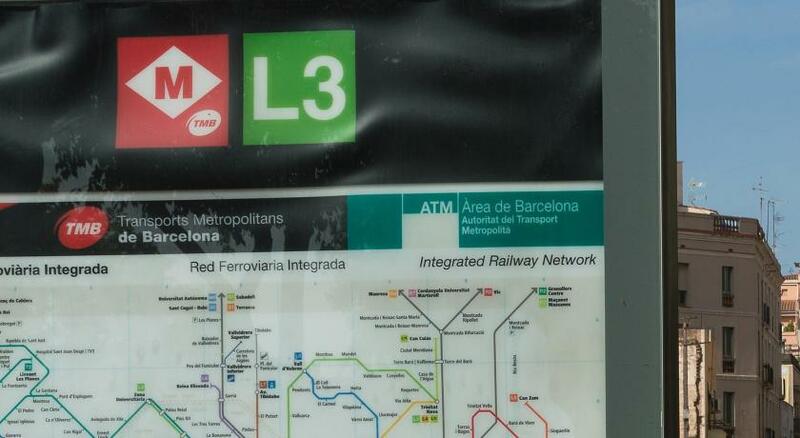 The location was good, only a short walk away from the underground, less than 5 minutes on the underground to las ramblas(beware if pickpockets on underground) Also went to the camp nou, which was extremely easy to get to from the hotel using the underground. There was no hot water from 12.00 to 20.00, and nobody informed us. I realised that only when i got into the bath which was not so cute. The room was spacious and the beds where very confortable. Toilet and bath ok. I liked the fact the although we went early (around 10.00) to leave our luggage and hung around until 14.00 (the normal time of the check in), the room was already ready and we had the room much earlier! The lobby was also very nice and you could have your cortado or drink reading a newspaper or a book that were available. The breakfast selection was good. Friendly staff. Temperature in the room at night was high and couldn't figure out how to open window or lower the thermostate. Also, what it looks like a swimming pool in the web pics, is not. Neat hotel, close to Sants train station. It's clean, modern and quiet. Not a big hotel but even so, it has a very cool patio terrace and great atmosphere. Rooms, although small, are full of light. Perfect if you only want a place to crash after a long day wandering around town. You guys need to sort the WiFi out. It kept dropping out every 10-15 mins and really disrupted my work that I had to do. Only fixed when I went to complain and got a code that wasn’t linked to my room number. I slept really well, staff were kind and helpful and the terrace was nice. Location is mainly beneficial for proximity to the train station. There’s not much going on in the area other than that. At first they gave me a room where already lived another person. At second, the neigbours have a cats in their room and disguastive smell of cats toilets goes through ventilation. Staff couldn’t do nothing. Change the room? What are you talking about? At third, they had 2 very slowly elevators so I have to waste a lot of time waiting for them. The bed was comfortable. Staff were helpful.